On the 20th & 27th September some Sports students from Newman University came to coach the Year 5 and 6 children in Handball. 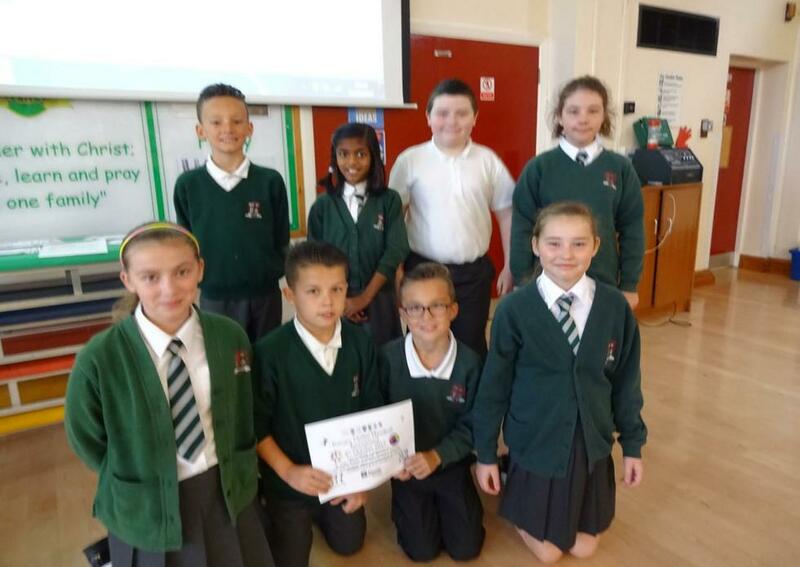 Following this they selected 8 children to compete in the Catholic Cluster Handball Tournament on 5th October at the Factory in Longbridge. Well done to Jessica, Chloe, Charlie & Caitlin in Year 5 as well as, Angelin, Luke, Oliver & Imogen in Year 6 who won 5 out of 6 games and came a fantastic 2nd place.